Bisoca spol. s r.o. - Profesionální basketbalové vybavení SURE-SHOT - No.510 - Portable Unit "New Orleans"
Home Produkty Konstrukce mobilní No.510 - Portable Unit "New Orleans"
The most economic unit features a PP-composite backboard sized at 112 x 73 cm which is directly mounted to the pole. Click here for a view from behind. 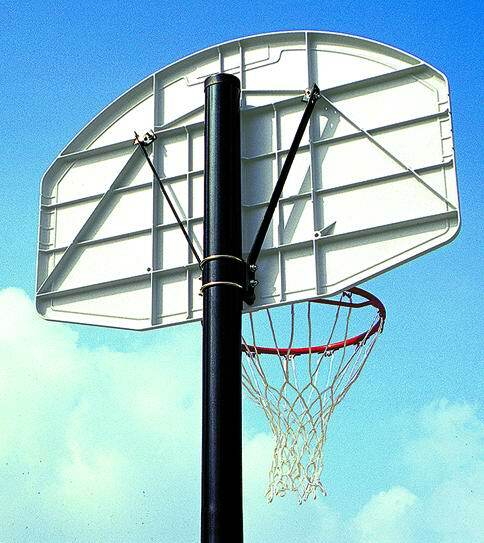 The solid goal is made with a full steel rim O 45 cm and powder coated in red. It is directly attached to the pole with 2 U bolts that allow a simple adjustment of the height up to the official 305 cm.